As a Weapon Engineer Officer you will be one of the Navy’s weapon, communication, sensor and combat management system experts. As a Weapon Engineer Officer you will become an expert in the Navy’s weapon, communication, sensor and combat management systems. Onboard a ship you will lead a team of skilled technicians who maintain and repair the sophisticated equipment that provides our Navy’s fighting capability. Information Technology is key in your area of work, however a diverse range of systems will be under your charge. Leadership and effective communication in a multi-disciplinary environment will be your key qualities. You are also likely to be a logical thinker who works well with people and seeks a challenging work environment. In shore based positions, generally in Devonport Naval Base (Auckland), Weapon Engineers perform duties in support of the fleet. You are responsible for the procurement and through-life support of our ships, as well as the training and management of our officers and sailors. A diverse range of positions are available such as project management, equipment procurement and upgrades, system performance analysis and maintenance planning. Your career will be managed so that you rotate regularly through these roles, ensuring you develop a broad understanding of weapon and combat systems engineering tasks. Further specialist training will be provided in fields such as project management, to ensure you have all the skills required for the job. Onboard a ship, once you’re fully qualified you will lead the Weapon Engineering Department – a team of up to 35 skilled technicians. You will be responsible directly to the Commanding Officer for the performance and availability of the equipment under your charge and the welfare and training of the people under your leadership. You will hold a senior position onboard and will work closely with the other members of the senior leadership team to achieve the ship’s objectives. Tactical problem solving, tinkering and leading from the front are my three passions. After graduating JOCT and a minimum of six months experience onboard a ship, you will move to either the Royal Navy’s Maritime Warfare School near Portsmouth, UK; or the Royal Australian Navy's Engineering Training Facility in Melbourne, Australia. Here you’ll complete the Systems Engineering and Management Course (SEMC), learning the the principles of weapon engineering and the management of a ship’s engineering department. The next phase of your career will be on-the-job training conducted under the supervision of a senior Weapon Engineer. You will be mentored to achieve the Weapon Engineer Officers’ Charge Qualification (MCQ), which indicates you have the theoretical and practical knowledge required to take sole charge of a ship’s Weapon Engineering Department. You will then rotate through various shore based engineering positions every 18 to 24 months, to broaden your skills before returning to sea as the senior Weapon Engineer. You will be offered continuous internal and external training opportunities for professional development. You will be able to complete your Masters degree, and you'll benefit from a streamlined route to becoming a Chartered Engineer. (6-8 months) Location: Defence School of Marine Engineering, Gosport, UK; or the Royal Australian Navy's Engineering Training Facility in Melbourne, Australia. The SEMC is a professional application training course in Naval Weapon Engineering, which will complement your academic training and prepare you for the next step of your professional development. The course covers weapons engineering theory and practice, before you return to New Zealand and gain practical experience in charge of the operation of relevant systems. On completion of SEMC you will be posted to a Royal New Zealand Navy Ship to gain the further skills and experience necessary to manage the entire Weapon Engineering Department. During this time you will by supervised and mentored by the senior Weapon Engineer Officer onboard. Once you have achieved the required qualifications you will be promoted to Lieutenant. The Navy supports Weapon Engineer Officers to become Chartered Engineers, and there is also a Masters programme available through the University of Portsmouth. Applicants require a BE(Hons) or BEngTech, typically in a field such as electrical, electronics or computer engineering. Applicants from most engineering specialities will be considered. Applicants with a Degree in Computer Science, Systems or IT are also encouraged to apply. The Navy offers graduate and undergraduate scholarships for engineering students who demonstrate the qualities required to become a Weapon Engineer Officer. 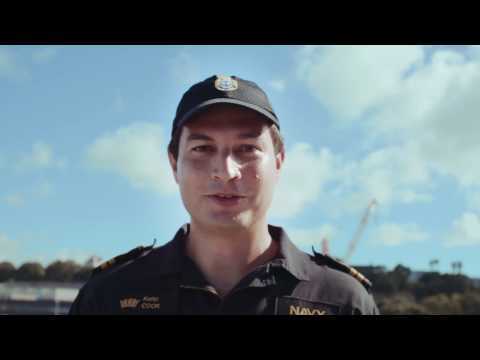 Salaried (Tangaroa) Scheme: Become an Officer in the Navy and be paid to study at the University of Auckland or the Auckland University of Technology on a ‘year for a year’ return of service basis. Bursary (Chatham) Scheme: Study at the university of your choice while the Navy pays your fees and a living allowance on a ‘year for a year’ return of service basis. There is no minimum time you are required to commit to the Navy. The exception to this is the salaried and bursary university scholarship schemes incur a year for a year return of service. Therefore, if the Navy pays for one year of your tertiary qualification then you will have to give a one year return of service. If they pay for two years you will have to give two years return of service and so on. The SEMC also incurs a two year return of service, however, this occurs concurrently with any return of service from your tertiary qualification (they do not add together).